Each entry in Day One supports location data to help you capture all the details of your memories. When you first download Day One, you will be prompted automatically to enable location services. This can also be done later. You can also disable location services if you do not want to capture the location in your entries. 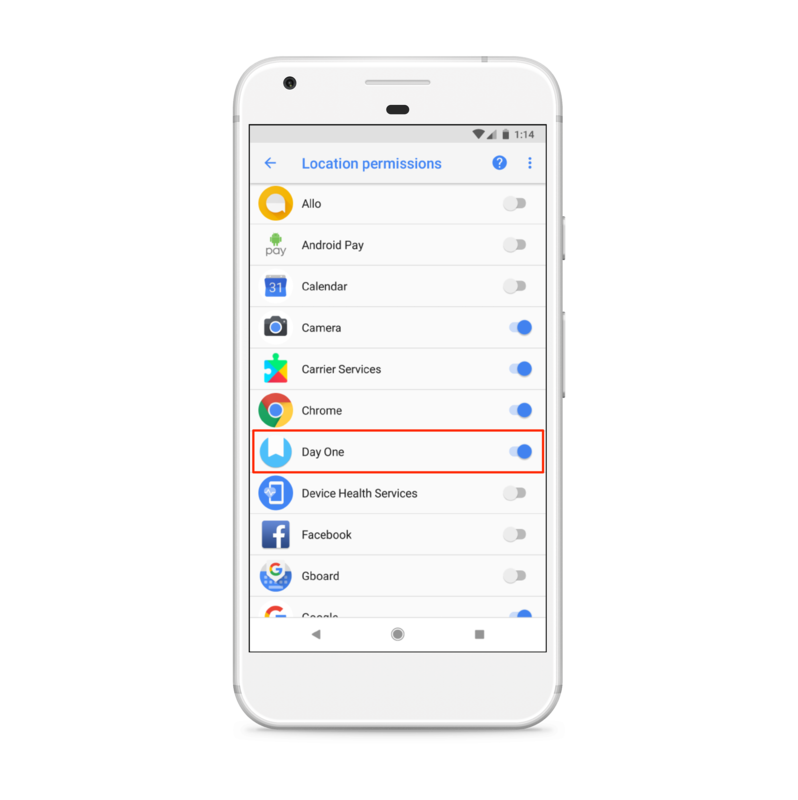 Go to your device Settings > Privacy > Location Services > Day One > and choose an option from that menu. 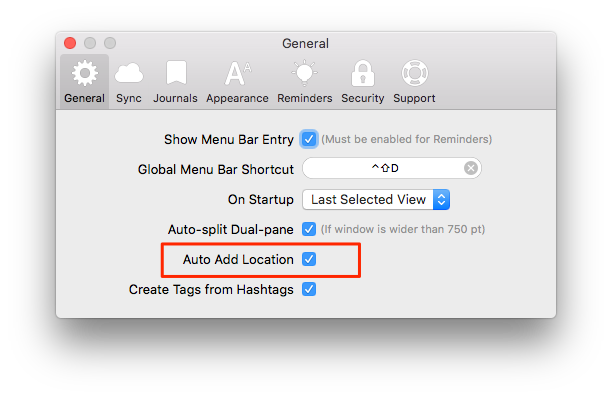 Go to Day One > Preferences > General and make sure the option to Auto Add Location is enabled. 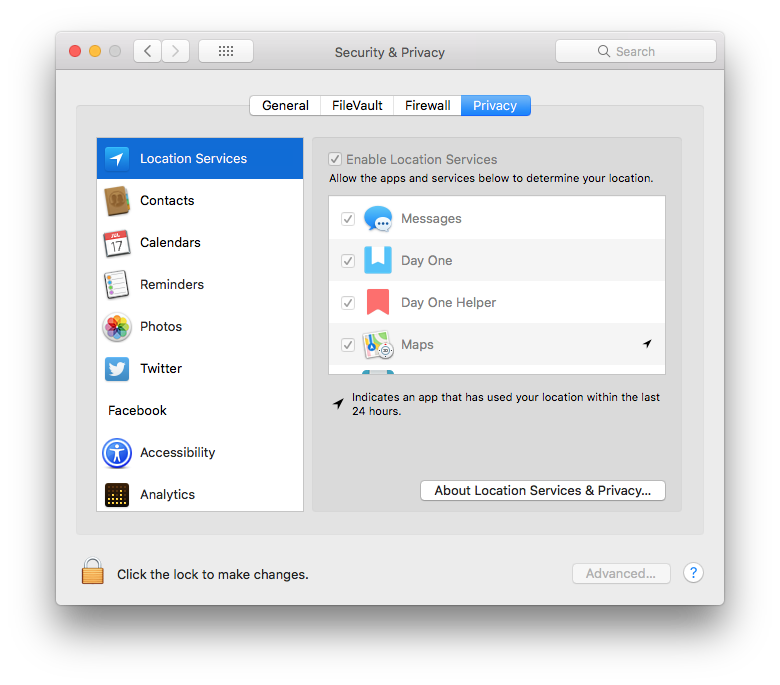 Go to System Preferences > Security & Privacy > Privacy > Location Services. Check the box next to Day One. Go to your device Settings > Security & location > Location > App-level permissions > Day One.